Less than 2 months after its official branding launch in Grenada, NAGICO Insurance Grenada Limited has stuck to its commitment to community focus and development, with an injection of almost $40,000 in sports development. On Monday, the company’s Operations Manager, Ms Adele JnBaptiste, joined new partners at the Grenada Boys Secondary School (GBSS) to unveil an array of new equipment and uniforms to the school’s best and brightest. NAGICO Insurances, though new to the Grenada market, has been in operation for more than 34 years with offices in 19 territories. “We pride ourselves on being good corporate citizens, sponsoring and donating to non-profit organisations, community projects, sports, education and culture,” JnBaptiste said, citing the company’s 3-year commitment to the NAGICO Super 50 Regional Cricket Tournament, which, according to her, solidifies the company’s longstanding commitment. 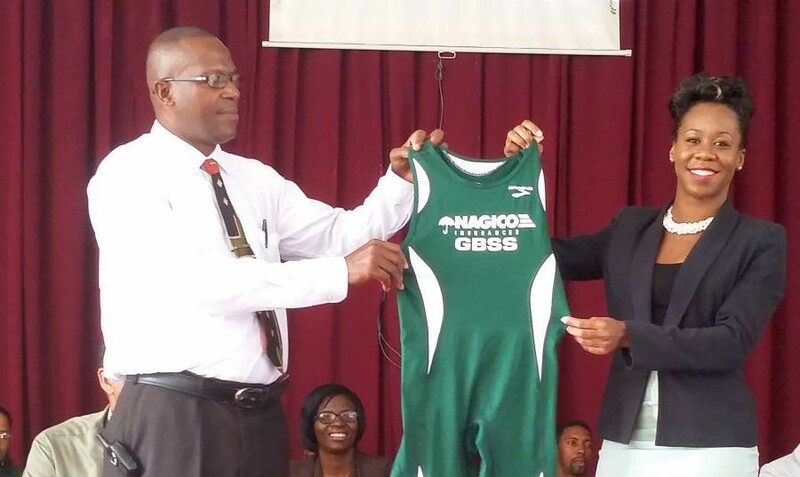 She said NAGICO aligns itself with the best, and GBSS has produced some of the best athletes and scholars, such as the renowned Kirani James and Sir Dwight Venner. “Of course, we acknowledge GBSS as the reigning Intercol champion and foresee yet another victory. We have already recognised some young talents such as Tallan James, Josh Boateng, Kyle Bowen and Cinque Noel among others,” JnBaptiste noted. The company has extended its support to GBSS as part of sustained efforts geared at fostering and maintaining a high standard, which other institutes, students and professionals can strive to meet or better, improving the community holistically. “To be clear, this is not a sponsorship, but rather a partnership. The principal, staff and athletic team of GBSS have made this connection an easy and seamless one. So, we the new NAGICO–GBSS team, hope to have your full support on 16 and 17 March representing in large numbers,” the operations manager reiterated. 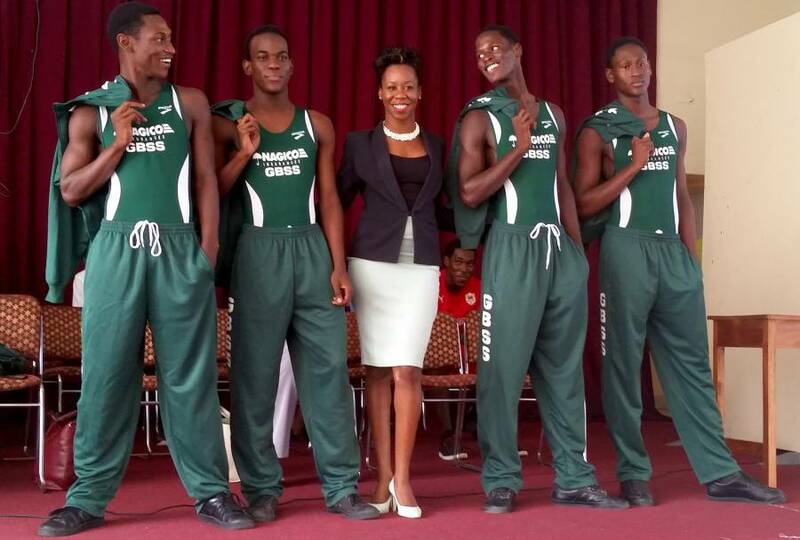 On Monday, NAGICO presented speed suits and track suits to GBSS athletes and uniforms for coaches. The company has also ordered polo shirts for the faculty and alumni, cap visors and inflatable wavers for the student body and supporters. Meals and necessities for the GBSS athletics camp will also be funded by NAGICO Insurance Grenada Limited.